If you are in the process of opening your own small business, you may be considering new leasing equipment to lower start up costs. This decision is the first of many business challenges you will face. Leasing equipment may be the right choice for you, but most small business owners have varying needs. This post will cover the advantages of equipment leasing for small business owners like yourself. You are much more likely to get approved to lease equipment than you are to get approved for a large line of credit for a single purchase. You also do not have to meet as many application requirements. This makes the process simpler overall and much more likely to produce desirable outcomes. If you want a quick, easy application process, equipment leasing is one way to go about it. This will leave you more time to decide on other things, like online printing solutions. That header should probably be clarified. Leasing is cheaper in the short term, not necessarily overall. However, for a small business owner like yourself, it is important to have as much money available as possible for other needs that you may not have anticipated. Leasing allows you this luxury. Monthly payments may be a pain, but the low start up costs keep your money free for other possible expenses such as licenses or staffing. As a new small business owner, you may not be properly prepared for every expense that will come your way in the first year or two. Leasing will give you a little cushion so that you don’t have to worry as much. Leasing equipment for your small business can also save you time. Leasing equipment prevents you from having to run around finding a store that will extend you credit to purchase the necessary materials. In addition, leasing saves you the time of waiting around for results to an online credit check. It also saves you the hassle, which is almost more important than time. No one wants to be aggravated trying to gain credit just to buy equipment for their business. So save yourself the time and hassle and consider leasing. Another nice benefit to leasing new equipment is the option to write off the costs at the end of the year. If you lease your equipment, you will be able to write off every single monthly payment as a business expense, no matter how long you are leasing for. This can be a great opportunity year after year to help ensure that you don’t owe the government money. Of course, you can also write off equipment you purchase as a business expense, but only the one year you buy it. Leasing equipment for your small business guarantees you tax breaks for the duration of your lease. A lot of unexpected events and expenses can crop up during the first couple years your business is open. That may make you concerned that you will be unable to make payments on your leased equipment. Thankfully, that is one thing that will not have to cause you anxiety. Many providers of equipment leasing offer the benefit of deferment periods ranging from one month to upwards of three months, especially for business cars. If you were concerned about the ability to make payments in the future, keep this in mind. The ability to defer payments is a huge advantage to leasing equipment. 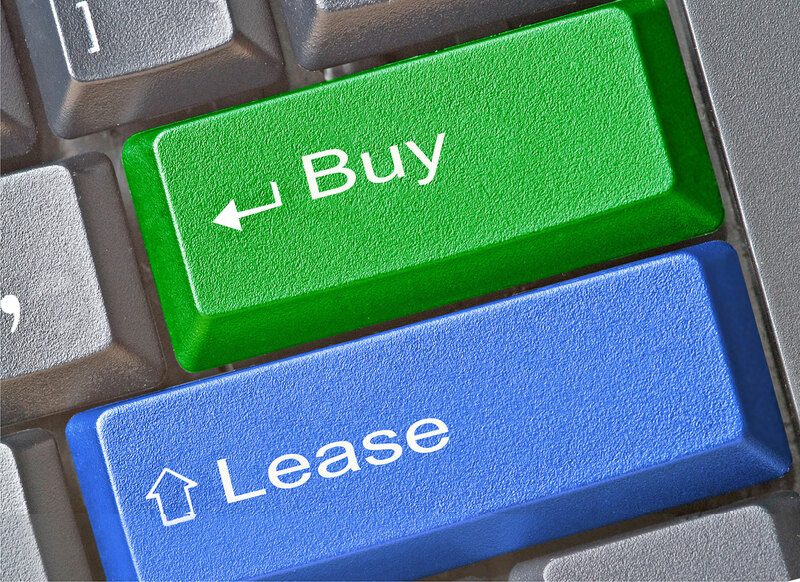 The number one benefit to leasing equipment for your small business encompasses all the others. Because of the tax breaks, payment deference and financial cushion leasing provides you, the small business owner, it also allows you a better chance at success! Roughly 20% of businesses close their doors after the first year. That is a scary statistic, but with the cushion provided by leasing equipment, you are better prepared to successfully navigate the first year. Leasing equipment for your small business will give you a better chance at success than your peers who buy equipment outright. If you have been considering leasing equipment for your new small business, this post may have convinced you to save some capital. Later, you can secure loans to buy a business, since you saved that money at the onset. That is great, but now is where the real work starts. Make sure to do extensive research on various providers for leased equipment. Compare costs, equipment availability and deferment options. Knowing what the market is offering will give you the ability to make the best possible decision for your small business. The lower your start up costs are, the more money you will have available to put back into your business. Leasing equipment will help ensure your doors stay open through that tough first year and way beyond. Good luck!